As a result of the decision to retire the OH-58D Kiowa Warrior scout helicopter, the AH-64 Apache is a more integral part of Army Aviation than ever before. Now in its AH-64E “Guardian” iteration, the Apache is far more than just a tank-busting helicopter. Today it works as a sensor node and intelligence-collection platform—and crews can control unmanned aircraft from its cockpit. But even with its technological growth, the Apache remains a powerful and agile helicopter that is still at home flying down in the weeds, a place where it has made history in the past. 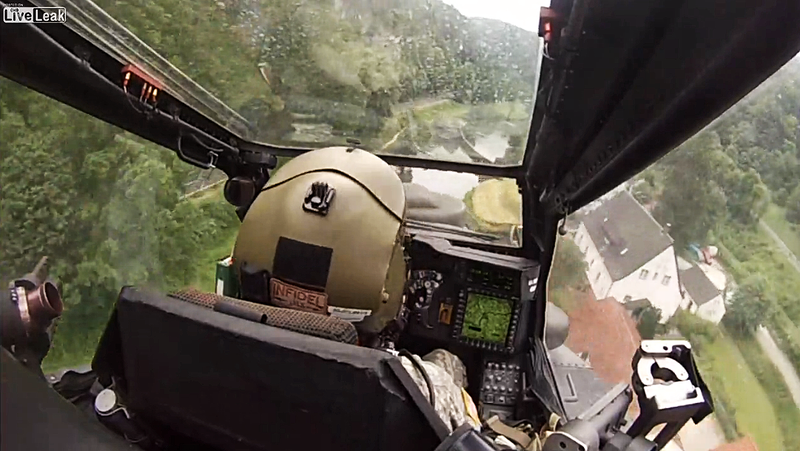 This can be seen in this cockpit video of an Apache crew flying a nap of the earth route in the German countryside.